Do you want single or double knocks? Coach Crowell makes two-fisted fake binoculars and points to the action. Without exception, the hoopster either gives a great performance or begs for a second and third try. What is the learning opportunity of these two stories? Clearly, the confident student wants eyes on, whereas the fear-driven one prefers isolation from inspection. 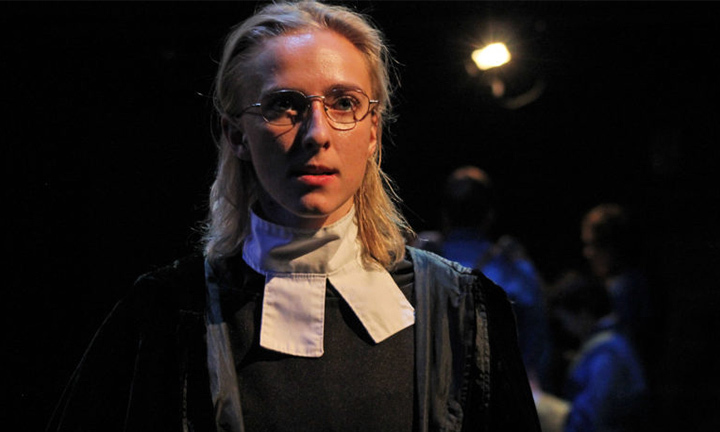 The featured photo for this Words of Hope is a college female playing a boy in a riveting play. The eyes of the student artist speak to the power of eye contact. There is no greater love than to lay down one’s life for one’s friends. The cross is His gift to us. Jesus has His eyes on you. In turn, we can use our eyes to motivate and encourage. I have my eyes on you!